This landscape style easel is perfect for group work. 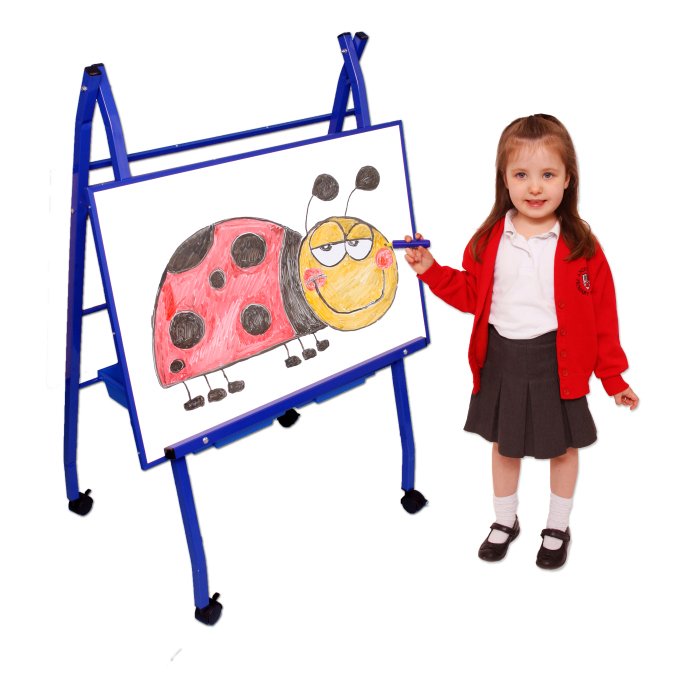 With five different heights to choose from you can be assured the whiteboard is always perfectly positioned to accommodate children of all age groups. The uniquely designed magnetic and dry-wipe whiteboard simply clicks on and off at the height required.